One of the soccer world’s (and one of our favorite) recent trends has been to bring back boots from the hallowed halls of gear legend. Nearly every brand has taken the plunge, but they all seem to be taking a fairly different path towards giving us a glimpse back at these beloved boots. Puma has gone way back into the archives, or offered extremely wild takes on old faves. Adidas has taken boots that we once longed for and released them with completely updated materials and in limited quantities. Nike, up to this point, has been simply giving us colorway references to the past. 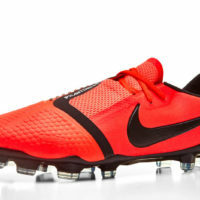 However, that all changed with the return of the Nike T90 Laser 1. 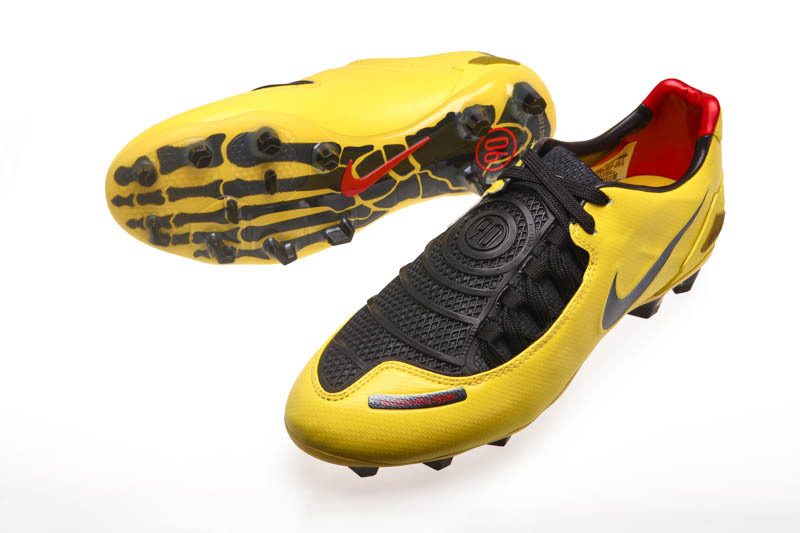 Launched in the Yellow Zest/Black colorway, Nike threw us back to the first time that the T90 became a power boot. 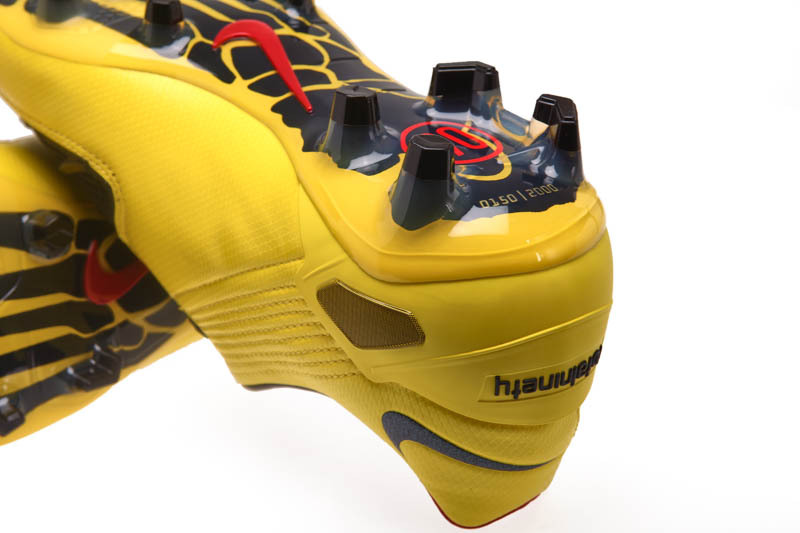 Taking us back to the first time that Wayne Rooney had hair and right around the time when Fernando Torres became a household name, Nike decided to take on the adidas Predator head on with the T90 Laser. 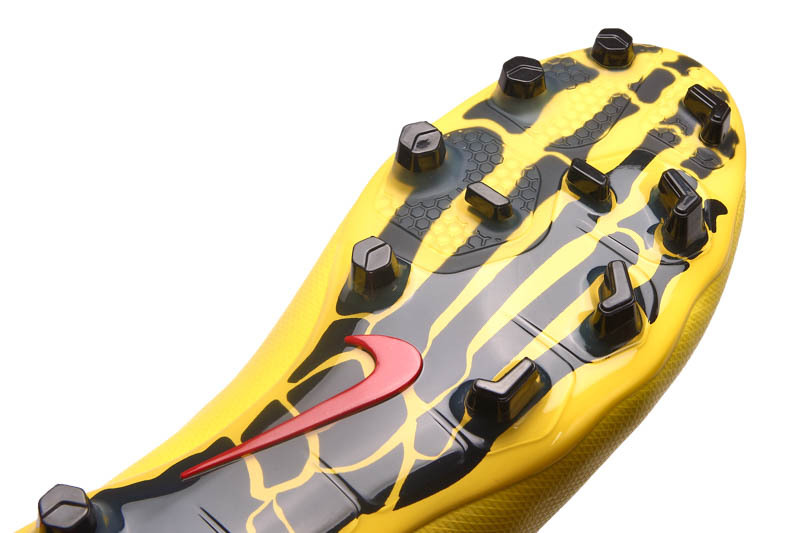 While it wasn’t the original T90 (a boot that has many fans, as well), it was the first time that Nike had decided to see what they could accomplish with added tech and shooting elements. 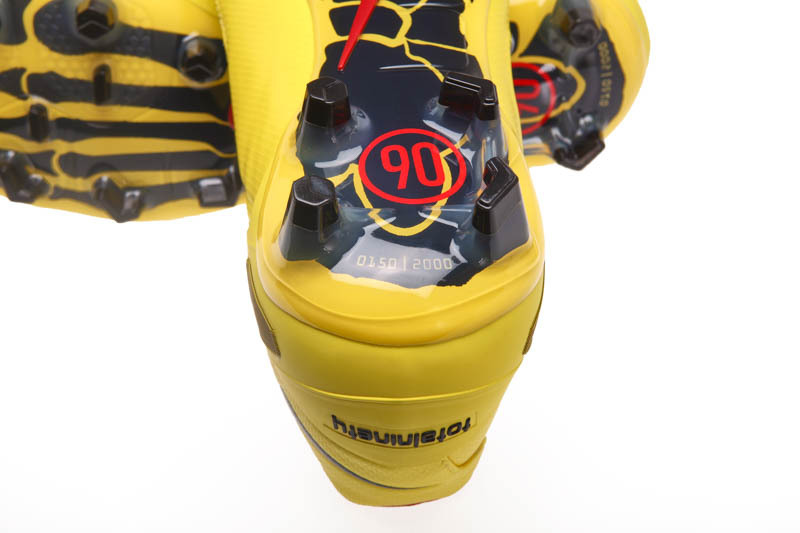 A massive striking surface that was made possible by the extremely offset lacing and a material creating the “90” logo that made the ball feel like is absolutely pinged off the boot. The remake is astonishingly crafted to be as close to the original as possible. While I don’t have my original pair (disintegrated from use long ago), it’s tough to find any of the differences that could exist. The tongue is the same level of thickness, the rubber-esque shooting element feels identical (it even has “POWER,” “SWERVE,” and “PRECISION,” emblazoned around the classic “90”), and this boot even claims to have the old-school Nike ZOOM technology. From the fat laces to the branding, the stitching to the colors, the insole to the liner, this IS the original boot, just brought back to life. It even reminds us that Nike was basically crafting burrito tongues WAY before it was en vogue. If you are looking to get the exact same feel as the original when playing – this will give the exact same sensations on the ball…and when we say exact, we mean exact! If you’re looking for the same weight and comfort – this will give the exact same level exactly. The only thing I’d love to see is how visually similar they were able to get some of the colors used. The only true change that Nike has made on this release is the soleplate. 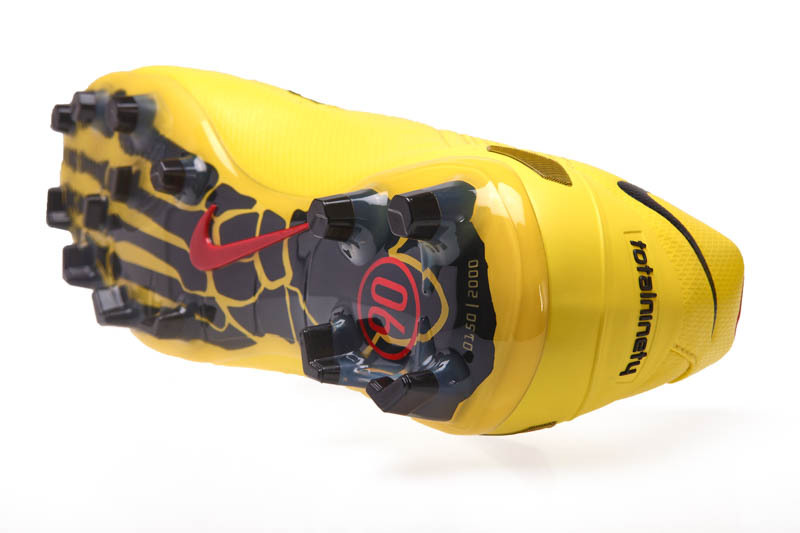 Still visually almost identical with the skeletal foot and T90 logo, but the stud pattern is altered to a more modern set-up. 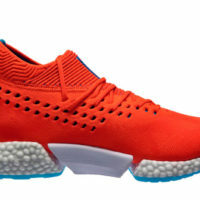 With hexagonal studs on the instep and arrows on the outside portion. 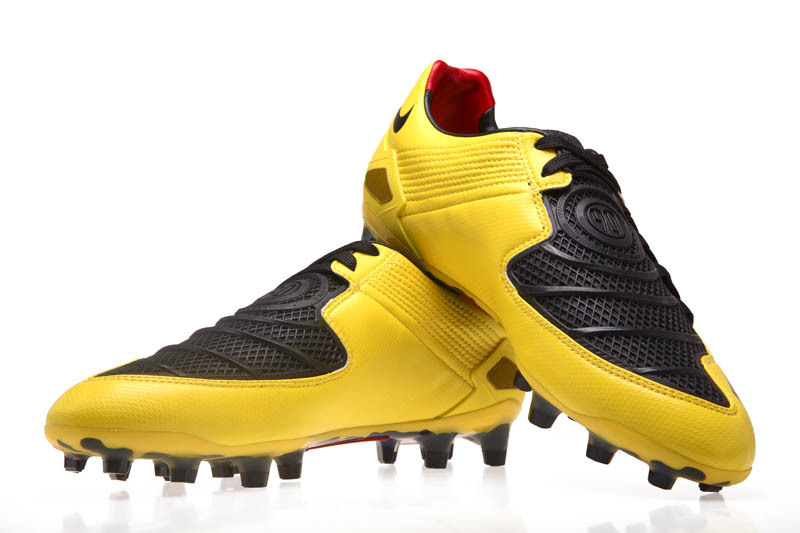 It’s actually the set-up that we saw on the last HyperVenom Phantom model and we quite enjoyed that set-up. At the heel of the boot is your numbered pair and here’s hoping you get something way cooler than “1546”. 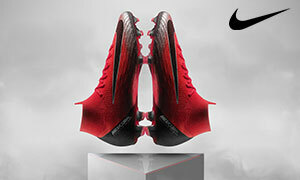 Perhaps the only negative surrounding this launch is that there are only 2000 pairs available! Why do brands feel they need to limit re-release greatness??? The Nike catalog is vast with boots that we hope get the re-release treatment and we hope that the T90 Laser 1 is merely the first step. 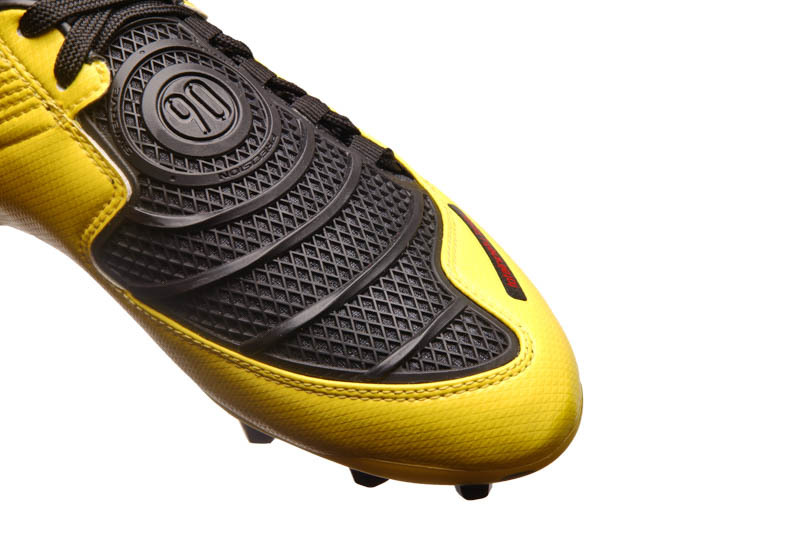 However, as is the case with nearly every re-release, we wish the big brands would offer some of these boots in a way that fairly standard fans could have a chance. By limiting their numbers and adding a premium price tag, most of the folks who loved these boots originally are possibly excluded…maybe an option that isn’t limited or is missing a hallowed colorway? Just a thought.